Manufacturer & Exporter of Marble Stone Vase. Our product range also comprises of Marble Inlay Tiles And Borders, Temple Architect and Stone Bird Bath. 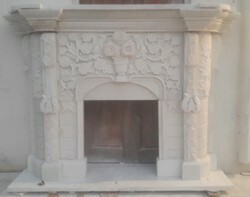 We are one of the leading manufacturer and supplier ofFireplace In White Marble. We obligated to meet the quality standards as per the customer demand. We are engaged in offering a wide range of Marble Stone Vase. These are admired for their fine finish, elegance and alluring patterns. These are available with us in various soothing color combinations, range and finish following the precise demands of clients. 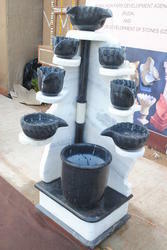 We ensure less maintenance cost and fine finish of these Marble Stone Vase. Our vases are available at affordable rates.